These are Prejevalsky Horses. 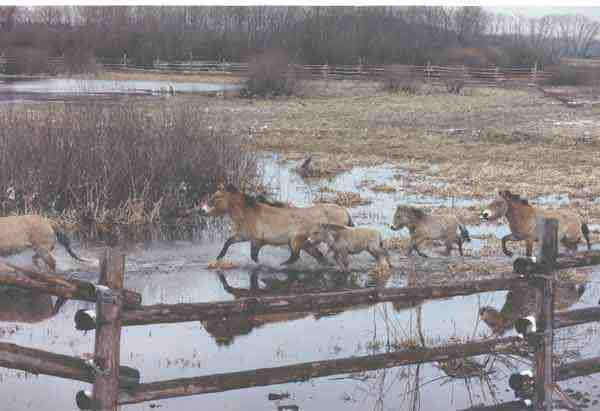 Someone brought a couple of them from Asia a few years ago, they liked it here and now there are 3 herds running in Chernobyl area. They are a sturdy breed and are always on the move. They have a prehistoric look about them. When they sweep by at full gallop, it feels like you might see a herd of ancient Eohippus next. Zoologists also brought two American Bisons to the area, but the idea to breed them didn't work out. The male bison run away. I don't know if he run away from Radiation or from his bride, but he was last seen in Belorussia, heading west. He may have decided to return to America. 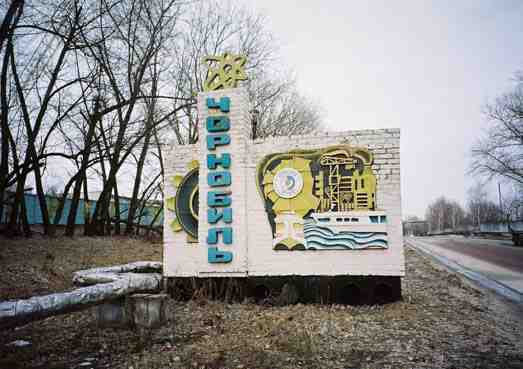 This is the town of Chernobyl - The entire population was evacuated in 1986 - but not until long after the danger enveloped them. It was a base for the Atomic Power Plant workers. Geiger counter reading here now is 20-80 microroentgens. This is the safest area in the dead zone. 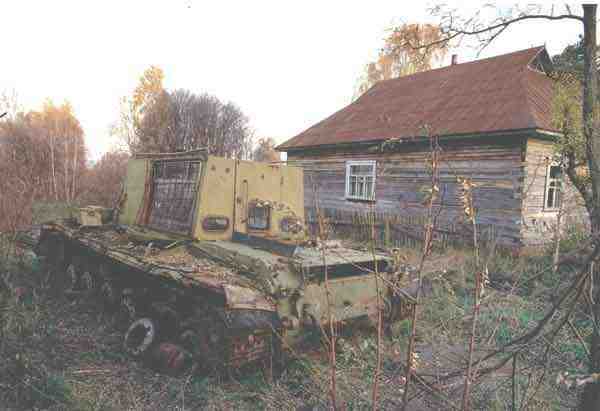 It is 18 kms from the town of Chernobyl to the APP, and 22 kms to the Ghost Town.